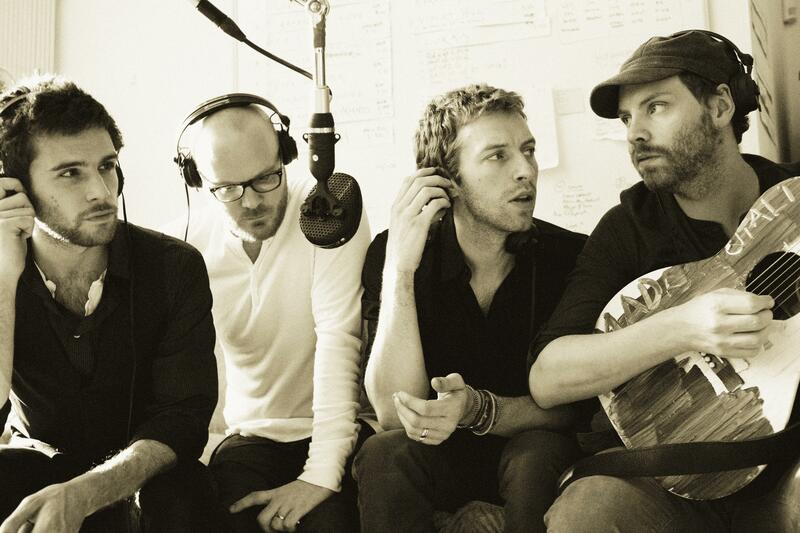 It’s Cool To Like Coldplay: True or False? With each album Coldplay seem to draw a fresh batch of new lovers and haters. People love their soft and at times romantic version of alternative rock while others cringe at simply hearing the opening strings on “Viva la Vida.” Great and terrible at the same time, there seems to be a fine line with supporters on both sides giving their own take on Chris Martin and co. Inspired by some inner office Coldplay related verbal skirmishes, we have outlined a few pros and cons, attempting to prove the other wrong that eventually proves nothing, but is still fun to write. Parachutes and A Rush of Blood to the Head, Coldplay’s first two albums, are excellent representations of four talented musicians making the hairs on people’s neck rise. Whether through their lyrics or instruments, both of these records can trigger emotion and perhaps show someone how you feel, in a good way. “Sparks,” “Don’t Panic,” “Green Eyes” “Warning Sign” and all other songs off these albums are wonderful, but those are especially nice. Running into an abundance of Coldplay fans or hearing them 20 times a day on the radio is annoying and a fair reason for not digging the band. Listening to them on the radio in the car alone, especially through one of those hit music stations, is a little dry and sure enough the band is featured constantly on them. It’s always a little more enjoyable to see a band live that loves playing their music and Coldplay are a perfect example of this. They play their asses off and are humble to their audiences, especially in Canada. In direct retaliation to the last pro argument and perhaps furthering the first con argument, everyone liking Coldplay is an easy way to dismiss them. In no way are they that band you and a select few other circles covet and marvel at. They get tons of press and play huge stadium tours with hefty production that seems to be a tad phony and not what’s really, dare I say, ‘hip’ these days. “The Scientist” – definitely one of the best songs to emerge from the last decade. ….OK, “The Scientist” is a decent song. Despite making two great albums at the beginning, the albums following did one of two things: the music didn’t change much or just wasn’t as good. Truly great bands find ways to make their music work, no matter how long they’ve been around. Running out of ideas is no excuse and it seems Coldplay have not delivered on the latter releases and from here they will begin to recede even more. In short, liking a band that stinks is not cool. All opinions aside, we are happy Coldplay are around so we may enjoy their music or snicker at them in used record shops. Undeniably the band has made some great music and for that they should be credited. Has the quality of their work stumbled in comparison to their earlier works, maybe, but there is always a chance they might turn things around. In the end nobody is cool or uncool for listening to Coldplay, rather everyone who is proud and passionate about what they like and not afraid of showing or speaking about it is cool. Posted in Features and tagged Coldplay. Bookmark the permalink.